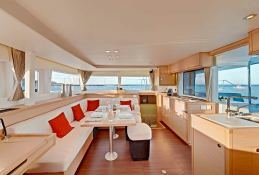 The rental of this brand new catamaran, Lagoon 450 departing from Cienfuegos Cuba allows you to navigate in the greatest comfort along the Cuban coast, the Gardens of the Queen and towards Trinidad island as well. 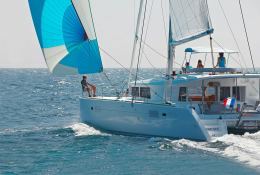 Available in Cienfuegos, Cuba, this bareboat catamaran Lagoon 450 (2 single and 4 double cabins), built in 2017 by Lagoon Catamaran, is capable of hosting up to 12 guests. 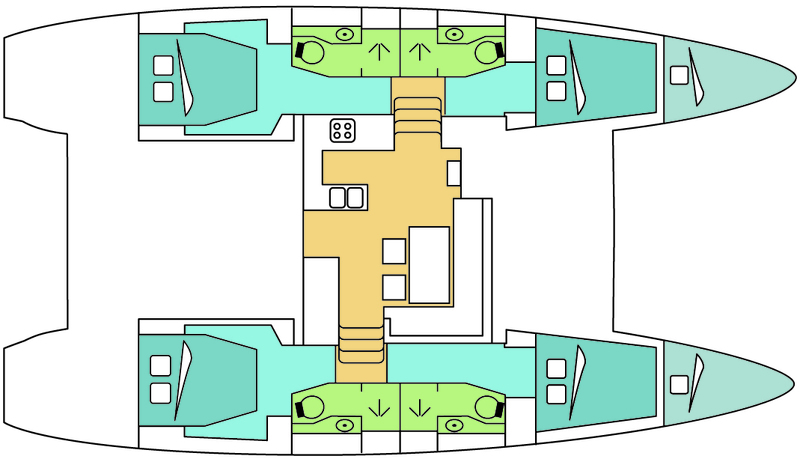 Further more, and for a complete catamaran charter experience, the Lagoon 450 comes with air conditioning, electronic on board, equipped galley, generator, watermaker and also CD. 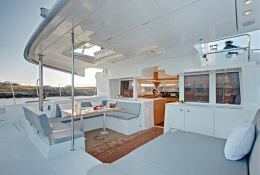 Special offer: this catamaran is available for yacht charter from July 01 to August 10 with a special discount of 20%. 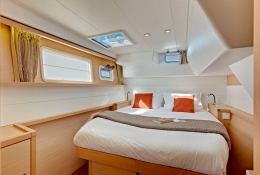 20% discount from May 4th to June 22th. 20% discount from June 22th to August 10th. 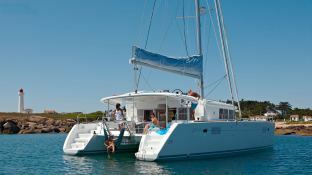 boat Lagoon 450 Lagoon Catamaran yacht charter reviews : 5 out of 5 based on 1 rating. 1 user reviews. 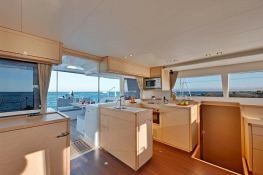 We enjoyed a memorable vacation and we had much fun on board, the boat is in excellent condition, well equipped and very pleasant when browsing. 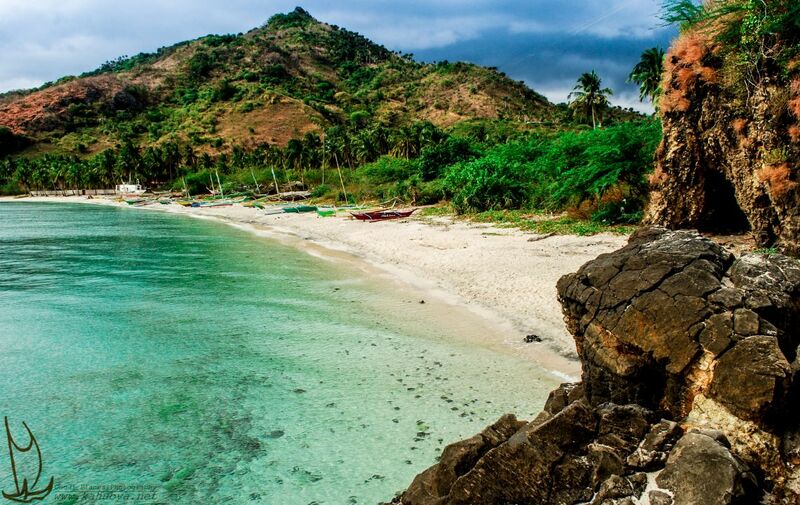 As for the staff, they were just amazing, friendly and very attentive, they even offered valuable advice to plan our trip.